A City Council committee is set to begin discussion Wednesday on making Los Angeles the first city in the nation with its own bank, which would give marijuana dispensary operators access to banking services. Council President Herb Wesson proposed the creation of a public Bank of Los Angeles during a speech in July while calling on his fellow council members to help devise a legal cannabis industry in the city that works. “We cannot bury our heads in the sand on the issue of recreational and medical cannabis legalization. Instead we must strive to reasonably regulate the emerging industry while creating opportunities for Angelenos,” Wesson said. He said the bank could be used to finance local entrepreneurs and affordable housing. No city in America has its own bank, and the only public bank in the nation is the Bank of North Dakota, which was created in 1919. A motion Wesson introduced calling on the city to explore creating its own bank said the Bank of North Dakota is a successful model on how cities and states could use their banking needs to give back to the community. 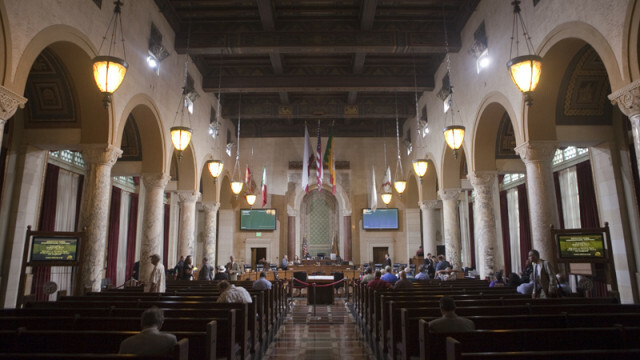 The motion is scheduled for discussion by the Ad Hoc on Comprehensive Job Creation Plan Committee, which is chaired by Councilman Paul Krekorian, who seconded the motion along with five other council members. Cannabis, which has been legal for medical purposes for more than two decades in California, will become legal for recreational use in 2018. Owners of cannabis shops have trouble finding banks that will do business with them because the drug remains illegal at the federal level. Legalized cannabis could bring the city up to $100 million in new tax revenues per year, and the City Council is currently working on multiple motions and ordinances to create a legalized industry in the city that can be taxed and regulated. Although it is not mentioned in the motion, the new bank could also help the city avoid entanglements with major financial institutions with which it is increasingly wary of doing business. The city settled a lawsuit with Wells Fargo last year after some of the bank’s employees created more than 3.4 million unauthorized accounts as a way to meet aggressive sales goals set by management. 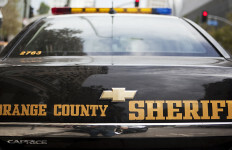 The bank paid $50 million in civil penalties to the city of Los Angeles and $135 million to two federal agencies, and was ordered to provide restitution to affected customers. The city currently does the majority of its banking with Wells Fargo through roughly 800 different accounts, but the City Council is exploring cutting ties with Wells Fargo as it considers amending the city’s Responsible Banking Ordinance to require that banks doing business with the city adhere to responsible banking practices. The Responsible Banking Ordinance was created in 2012 and requires banks doing business with the city to disclose information on loans and foreclosure activity.